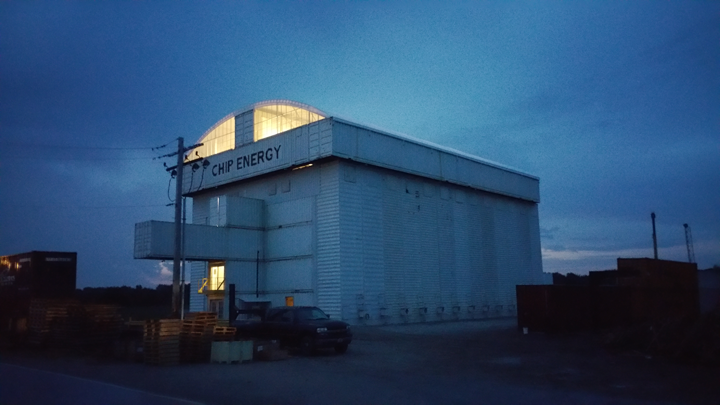 Contributed by | Chip Energy, Inc.
A Certificate of Occupancy on a building constructed of 60 Intermodal Shipping Containers is a huge accomplishment for Paul Wever, president of Chip Energy Inc. These types of containers are designed and constructed to carry freight around the world. They are built out of at least 5,000 lbs. of steel each, and with 1 million units out of commercial service in the US they represent over five billion pounds of stranded steel. Once they are no longer usable by the original owner they become stacked up eyesores all over the world. Paul Wever saw the potential of using the stranded shipping containers to construct a facility that recycled waste biomass into cleaner energy sources and other valuable products. After conducting a lot of research on his own and consulting architects and engineers he set out to demonstrate the unique design could work using the recycled shipping containers. 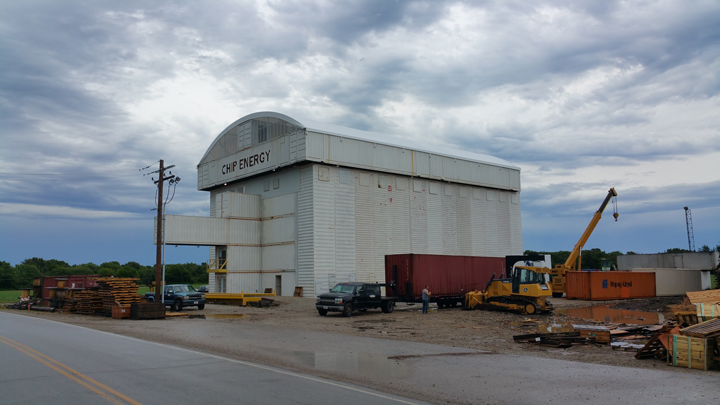 Wever took advantage of the incredible strength and durability of the containers to make a more efficient biomass conversion facility that will become the pilot plant to demonstrate a cost-effective way to ship biomass around the country using, you guessed it, recycled shipping containers. By using biomass that would have gone to landfills or reduced crop yields and converting it into valuable inputs for multiple industries, Wever is working to help the country move forward a more sustainable future. Finding a purpose for a million eyesores is just a bonus. “Most of the cost of producing sustainable bioenergy is the cost of getting the biomass to the processing facility. Using this Biomass Conversion Facility Depot, we will be able to profitably ship biomass, based on the customer’s specifications, to their processing facility at a cost that enables them to make a profit. Because of the way the building is designed, we can take a wide variety of different forms of biomass, convert the biomass into exactly what our customers want and deliver it to them.